Procalcitonin (PCT) is an early predictor of bacterial infection. We reviewed the literature and analyzed data on our own patients to assess the value of PCT as a predictor of infectious complications after pancreaticoduodenectomy (PD). The relevant literature published up until November 30, 2018, was reviewed, with no publication date restrictions. Letters to the editor and studies lacking necessary data were excluded. We also reviewed, retrospectively, the medical records of 77 patients who underwent PD between January, 2011 and April, 2016 at our hospital, to evaluate infectious complications and laboratory results on postoperative days (PODs) 1 and 3. Six studies were screened, and four cohort studies on patients undergoing PD were analyzed. One report examined preoperative PCT and C-reactive protein (CRP) levels, whereas the others examined only postoperative PCT and/or CRP levels. 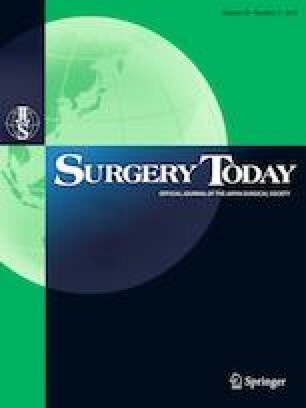 All reports demonstrated the usefulness of PCT as a predictor of postoperative infectious complications; however, no report concluded that PCT was a better predictor than CRP, except for the one report that examined preoperative PCT levels. Conversely, our experience demonstrated that the most significant factor predicting infectious complications was PCT on POD 3 (sensitivity, 0.87; specificity, 0.88). Thus, serum PCT could be a predictor of all complications, including infectious complications, after PD, but no advantage over CRP was identified.